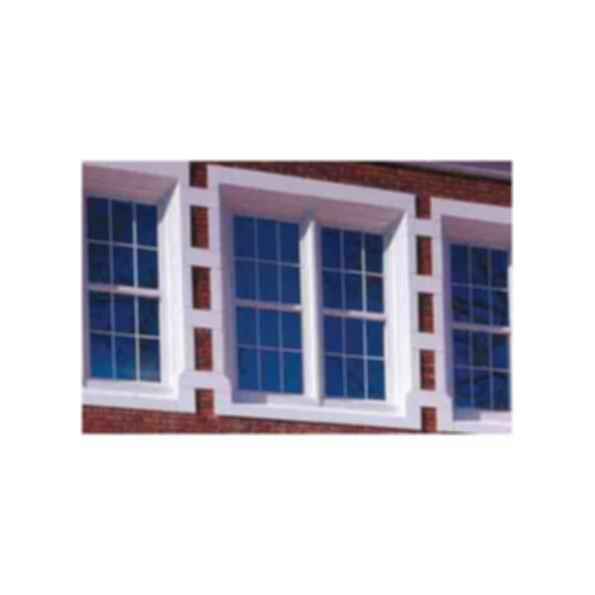 This product family of hung windows retains an AAMA Heavy Commercial and Architectural Grade rating to meet the most demanding specifications. It is a proven performer in applications ranging from historical replication to new construction. An added beveled glazing feature and multiple glazing options provide flexibility to meet specific design requirements. A thermal barrier in the frame and sash improves thermal performance enhancing your energy saving potential. Offered with a complete line of sub frames, mullions and architectural sills, this product family provides the complete solution for your fenestration needs. EFCO Corporation, is a leading manufacturer of architectural aluminum window, curtain wall, storefront and entrance systems for commercial architectural applications. Headquartered in Monett, Missouri, our mission is to be the most trusted supplier in commercial architecture. We seek to provide customers with the highest level of quality, innovation, value, and service.